Coaching – Why should I do it? – Lemmex Williams Training Inc.
Face it – managers are problem solvers. It is so easy to solve people’s problems and frankly, it feels good to be an expert – right? What would feel even better is to have people solve their own problems. Coaching could be your solution. What is coaching? In its simplest form, it is asking questions – directing people to solve their own problems. Coaching can be asking a series of questions to get your employee to think through a problem or opportunity and come up with a solution. It may be more directive if you need to steer them in a particular direction. And, coaching can work with just about anyone – at work, at home, with your friends – just try it. Hey, is there a better way to do that? Are there safety issues you need to be concerned about using that method? What safety precautions have you considered? What protective equipment should you be using for this task? Where are the guidelines/policies for doing this task more safely? What did you learn in the safety training for this task? Will coaching work for everyone? 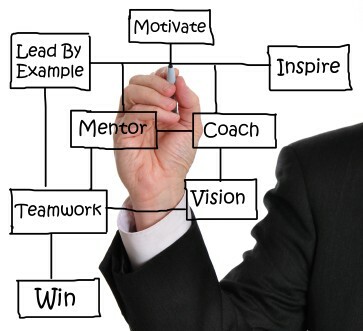 How you coach is directly related to how experienced and motivated your employee is. If your employee is very experienced, and motivated to do the job, a few coaching questions will get them to think through the process and come up with their solution. As long as they get where you want them to in the end, let them do it their way. By continually coaching this employee, they will get in the habit of asking themselves these questions and work toward becoming an expert problem solver, like you. Since you’re working around electricity and water, what safety precautions do you need to take before starting this job? What safety procedures/guidelines/policies will you be following for this job? Your employee will provide you with their answer, and if it is not what you want, you can continue to direct them, until they come up with a plan you are happy with. Coaching an inexperienced employee will only confuse them. If they don’t have the answers, it is time to teach, not coach. And, an unmotivated employee does not want to do the job, so coaching will be ineffective. The unmotivated employee needs to be performance managed to get the job done. What’s holding you back from making a decision/completing the task? So, what holds you back from coaching? Think you don’t have time to coach? Fixing everyone’s problems is a time consuming activity, and does not develop your employees. Teaching them to fix their own problems frees you up for more important tasks, and creates problem solvers of your staff. It will take time initially, but in the long run, coaching is one of the most important roles of an effective leader.